The GT-K family has been designed for maximum performance utilizing the most advanced turbocharger engineering and components. This next generation of turbo units features special Map Enhancement Porting to allow the compressor wheel to operate at its maximum efficiency across a very broad rpm range. This variant of bleed air design, has precisely placed slots machined into the compressor housing to limit effects of surge when using large turbochargers on small displacement engines as well as providing additional air flow to make maximum horsepower at high boost pressure levels and across the entire rpm range. Aerodynamics is what separates the GT-K turbo line from the competition. 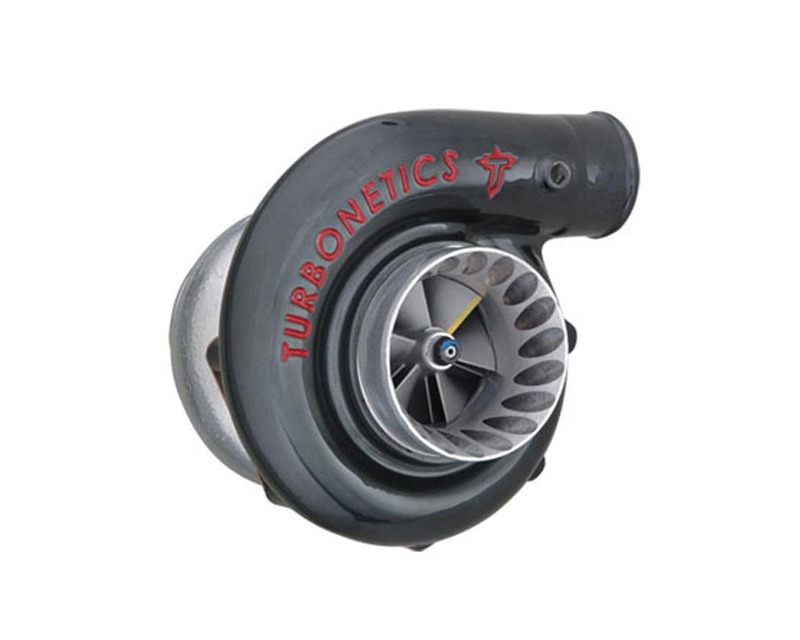 Equipped with the latest HP Compressor Wheels, designed to maximize efficiency at high boost pressures, and the F1 Turbine wheel, created to capture maximum exhaust gas energy and reduce back pressures, the GT-K family of turbos delivers unequalled performance. 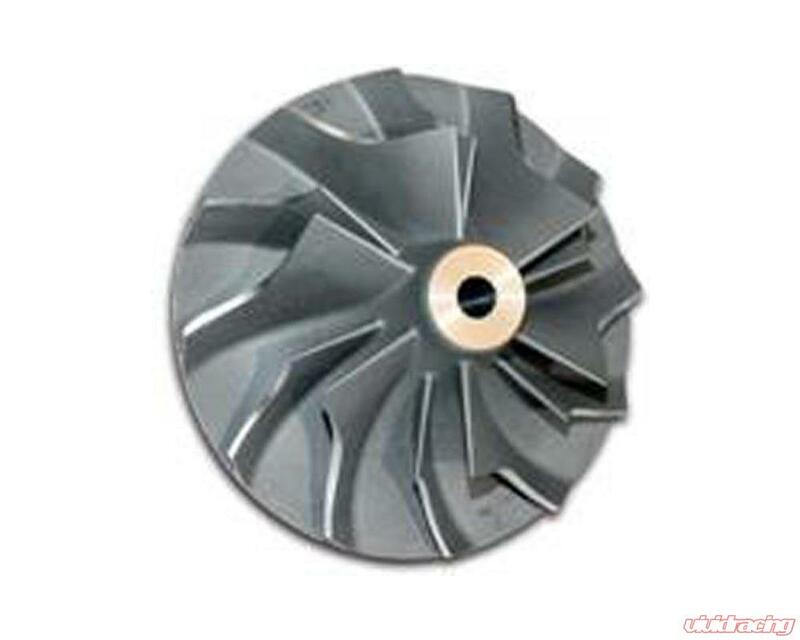 Turbonetics HP Compressor Wheels are made of 354 heat treated aerospace aluminum and are manufactured utilizing Hot Isostatic Processing (HIP) to allow these wheels to be incredibly strong. When paired with the Map Enhancement Porting of the GT-K compressor housings, these wheels flow huge volumes of air at high pressure ratios while still delivering a cool efficient intake charge. 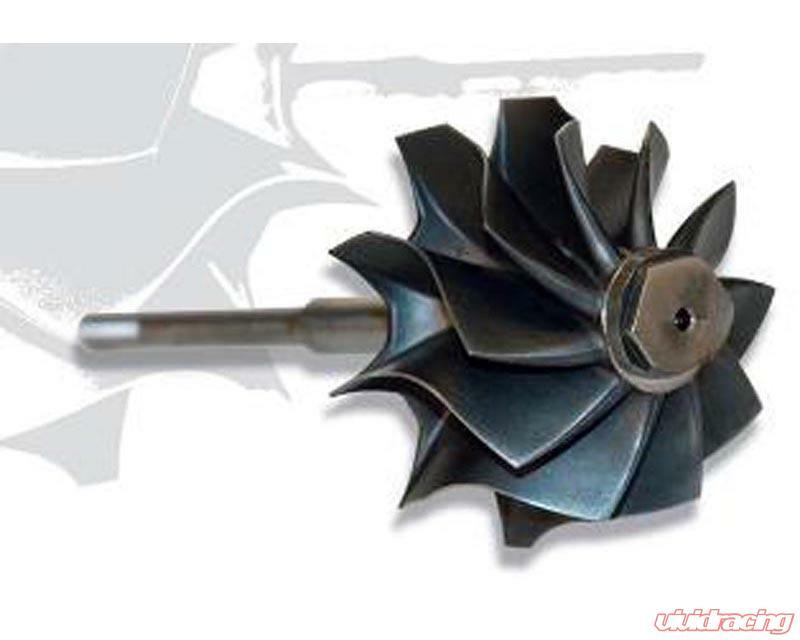 The F1 Turbines are a new eneration of 10 bladed, tall tip height wheels that allow you to turn up the boost without encountering dreadful backpressure issues. 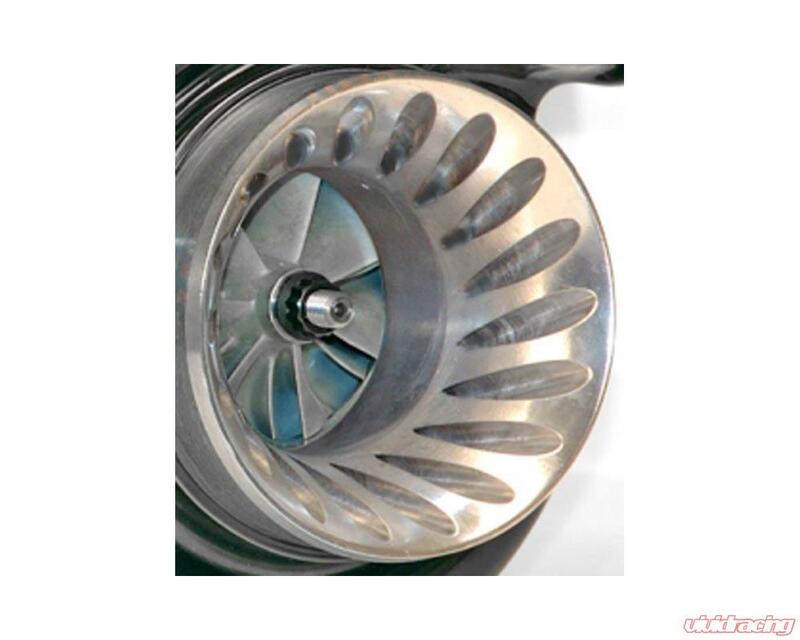 Made from 713C Inconel and balanced to Turbonetics exacting standards, these wheels match up with the HP Compressor Wheels to make the best turbocharger combination available. Turbonetics exclusive Black-Chrome Perma-Coating also comes standard for heat reflection away from the compressor housing to aid it lowering compressor wheel inlet temperatures and gives these units great looks to match their performance. 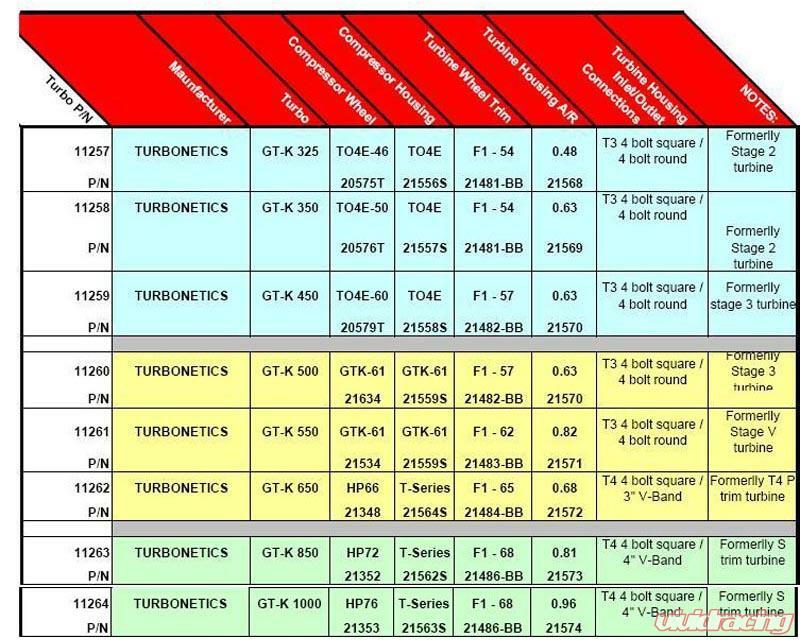 Select turbo systems will also be able to be upgraded to the GT-K Turbos if so desired. 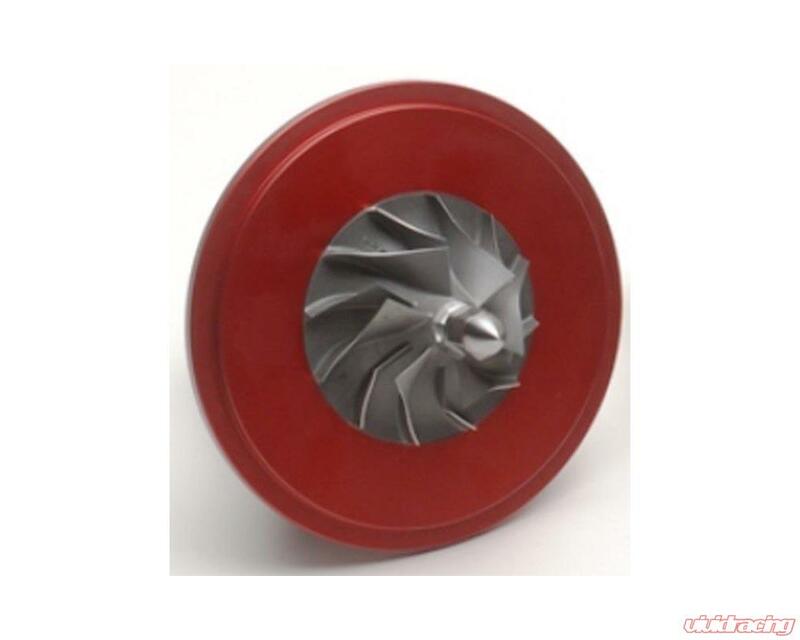 Turbine housings will feature high temperature ceramic coating to trap exhaust gas energy inside the turbine housing for greater energy delivery and faster response time, as well as keeping the engine compartment temperatures low. Cooler under hood temps means more power potential from a cooler compressor intake charge. High temperature ceramic coating to contain hot exhaust gas temperatures to keep intake temperatures cool and make more power. Aggressive looks meets incredible performance. This combination of powerful red and billet aluminum not only satisfies the eyes but the dyno sheet as well, making the compressor inlet as efficient as possible. In order to make big power you sometimes have to run big boost. 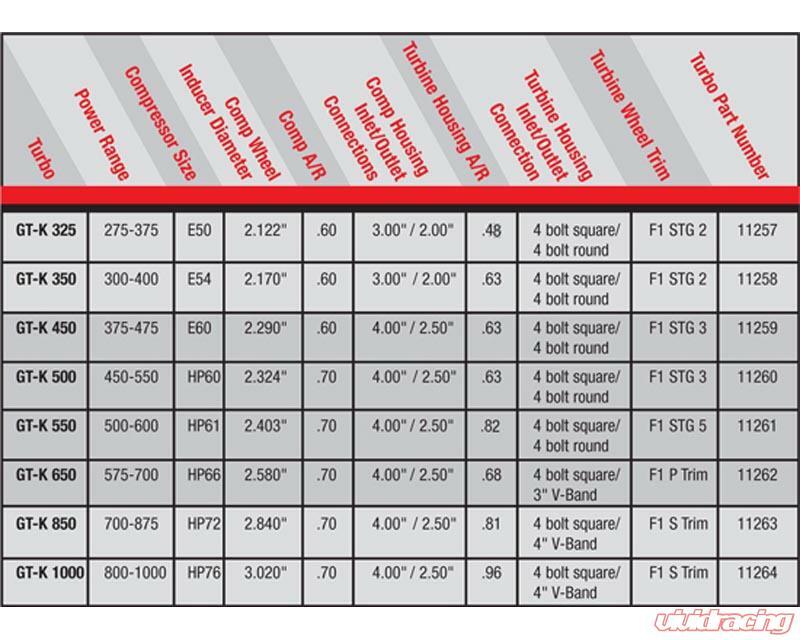 With the HP wheels featuring Hot Isostatic Processing (HIP) you have the strongest and most aerodynamically advanced design available to make sure that your turbo is at its best when it counts.